I know I rarely talk about local products, but when I do, its worth the shout out! Today I'll be sharing with you a recent discovery, featuring Ainaa Cleanser and Ainaa Serum as they've been getting pretty good feedbacks from Malaysians who are suffering from serious acne problems. Somehow on my social media, I see Malaysians talking about how good Ainaa Cleanser and Serum has been, and I've been so eager to try it out myself! Been going through really bad breakouts over the past few weeks before the wedding day and finally, i have some time to pamper myself by giving my skin a little more attention. In today's blog post, I'll be sharing with you a review on Ainaa Cleanser and Ainaa Serum after about 3 weeks of using it. Let's take a moment to appreciate the packaging first, shall we? It comes in a white box with shiny gold borders and I always appreciate packages that include the list of ingredients, the benefits, and the directions on how to use. Im also proud to say that it's a Malaysian product as it states that its "Made in Malaysia". They are also KKM Registered making it a safe product to use approved by the health organization of Malaysia. And it also has an expiry date listed on the box too! I always like expiry dates on skincare products so that I know when to use them by. hehe. Going straight into details, let's talk about the Ainaa Cleanser 2 in 1 purifying cleansing gel. Despite being a cleanser that also removes makeup, I would not recommend you to skip your daily make up remover routine, but its always good to have a cleanser that removes makeup residue from your skin. The cleanser is formulated with balance pH levels and is free from harmful chemicals giving it extra bonus points! It also comes in a really unique pump bottle which also ensures that the content is not exposed to keep the content fresh. Moving on to the texture, the gel is transparent, and when in contact with water, it does not foam up as much possibly because its paraben free. I don't fancy gel cleanser as much, but I find the Ainaa Cleanser pretty impressive when it comes to cleansing. After rinsing the gel off my face, somehow my skin feels refreshed, cleansed and most importantly, it also feels moisturized! Did you know that gel cleansers are well know to eliminate oily surfaces and acne causing bacteria by giving the skin a deeper cleanse? So if your concerns are deep stubborn acne, this cleanser might just do the trick to unclogged clogged pores. It comes in a 50ml pump bottle and I would say that its good enough to last you for about a month. Each Ainaa Cleanser would cost you RM45 (West Malaysia) and RM49 (East Malaysia) which is a fair price considering that it works! After using this for 3 weeks, I noticed that my skin looks bouncier and when it comes to maintenance, it's pretty easy to maintain my skin with the Ainaa Cleanser. No breakouts and it cleanses without drying my skin. YAY! Next would be the Ainaa Serum which apparently is the highlight of their skincare range according to many Malaysian that I see on social media. Other than giving your skin nutrients that it needs, it also encourages new cell growth which also means that it would help your skin recover in a shorter period of time. Formulated with selected hydrating ingredients, it has been specialized to eliminate acne while keeping the skin moisturized. It also claims to remove dark pigmentation spots, but as of now, I don't see much difference targetting my pigmentation. On a side note, it does make my face noticeably brighter and younger, and I have no complaints. Hehe. The texture for the serum is almost similar to the Ainaa Cleanser, but when applied to the skin, it feels a little rough and sticky to glide onto the skin. Not a huge fan of the texture, but it sets the skin pretty well without the need of primer before applying to make up. Hehe. I had a specific acne infected area on my face, and after 3 weeks of using this, my acne is gone (except for very slight marks which would disappear in time). It's no wonder that Malaysians are going crazy over the serum. Getting busier as I get older, I noticed that I tend to misplace my stuff all over, especially my house keys and my handphone. Relatable? TELL ME ABOUT IT! So after constantly spending extra time in a day to find the things that I misplaced, I stumbled upon an ad featuring TAG La which apparently is a keychain that helps you locate your important items. While watching the ad, it kinda triggered me that it may come in handy especially when it's a device that you can set up on your phone to detect where your misplaced items are. Too cool to resist, I decided to get one for myself since its Christmas and here's a little review on what I think about TAG La. The Christmas edition comes with a bomb card too! So, I got myself the exclusive their Christmas edition which came in a super cute packaging which had tiny bits of paper resembling snow (ready for gifting). For every Christmas edition purchase, you'll get their latest bomb card as a complimentary gift making it extra special. I also like the fact that the designs are different on the front and back side of it giving it a customized character, not to forget that the design included Santa in it adding a personal touch for the festive season. How cute is the santa design on the Tag? Consider it as a multipurpose keychain which functions as your accessories and also a finder when you misplace it around the office/house. But for a more official explanation, its a Bluetooth tracker that helps to track your important items such as your wallet, phone, keys, you name it! As for me, I decided to attach this to my house keys, cause my house keys tend to go missing especially when im rushing to get my errands done. Thank god for TAG La! Can you spot the TAG La app? Time to set it up for the first time! With a push of a button, its all ready to track your item! Next is to download the app into your phone and you won't have to worry about your important items to go missing. When you think you left your house keys at work, all you need to do is tap the app or double press it to ring your phone. And once the app detects the location you misplaced it, you won't have to worry about finding your item as TAG La helps to remember for you. Also, not to forget if you attach your TAG La to your phone and your phone goes missing, fret not as your friends and family can help you find it too! How it works is pretty simple. All you need to do is create an account through the app. Once an account has been created, you can start syncing your TAG La to the app by pressing the button on the TAG La for 3 seconds, and it would be automatically to your phone. And that's basically it! Since I attached my TAG La to my keys, all I need to do is to open the app and press 'find it' which will trigger the TAG La to beep until I find my keys. hehe. You must be also wondering what is the price for this? Well considering it a Christmas edition TAG La, it's only at RM199.90 for TWO Christmas Edition TAG La which includes a free colored TAG La of your choice and it also comes with 2 complimentary bomb cards for easy gifting too! Alternatively, if you want just ONE to try out for yourself, it's always available online for single purchase at only RM69.90 only. Been bringing this around with me for a month now, and it has done justice to me! No more lost keys at home. As a verdict, I would have to say that the TAG La comes in pretty handy when you're always putting your important things everywhere around the office/house. It gets pretty addictive once you know that it really saves you a lot of time when you're looking for your items. And with that, im planning to get a few more TAG La's just to track my camera, phone, passport all together. Is it worth it? Living in a digital era, I would have to say that I find this worth the money if you would want to keep your mind at ease when your important things go missing. I know I usually find a hard time looking for my passport when im about to travel too, but with TAG La, it saves me my time and energy to look for my things within a few taps through my phone. Made it to the Butterfly Project X Althea Christmas Party! 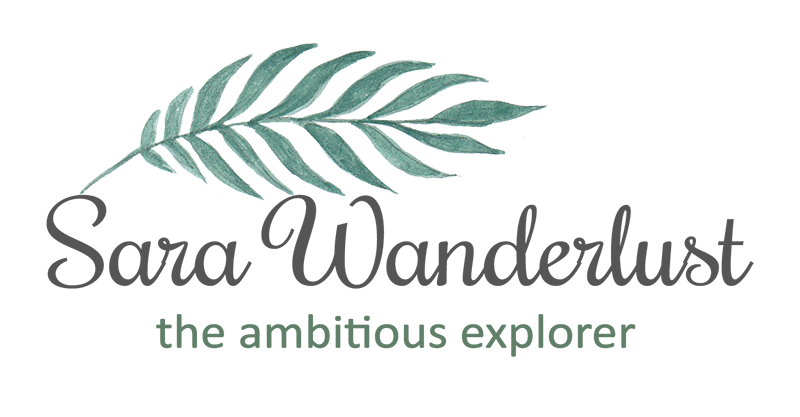 Hey guys, im back at blogging after a long weekend of officially tiying the knot. Hehe. Without a moment to spare before we welcome 2019, i would like to share with you on a meaningful event i attended, a week before my official wedding day. You can pretty much tell how important it is since i took some time off just to be there and mingle around with old/new butterflies from the community. Overall, i had no regrets as i made new friends, catched up with old pals and basically had tons of fun since Althea was the main sponsor of the event. 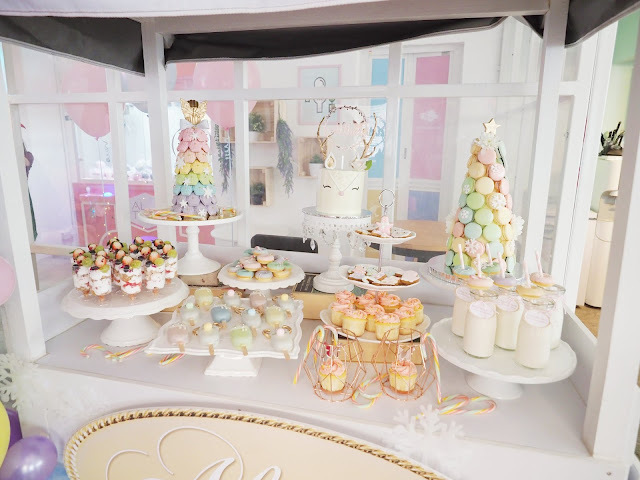 Thank you so much Althea Korea for making our Christmas Party for 2018 a memorable one! 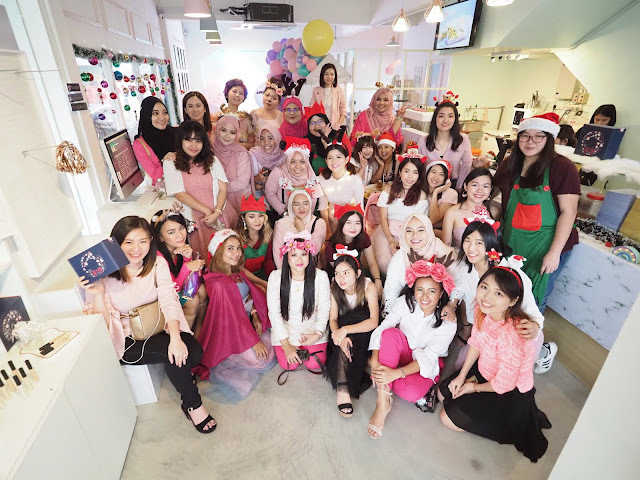 It was held at a cute cafe called Chubbee Cloud, and it was super convenient for me as the location is just around my neighbourhood in Uptown Damansara. Since its christmas, i could already feel the jolly vibes as i saw the cafe from a distance which i've set my eyes on the photobooth. Whats a party without a photobooth right? Hehe. This was the first time i experienced a new photobooth concept where after they take photos of you, you are able to add stickers to your photo before printing it out. How cool is that? Credits goes to Tagbooth for making the event a spectacular one, where we get to bring memories back to keep and treasure. Hard copies are always the best! Hehe. And look who made it to the party too, Althea's products! Upon walking into the cafe, there was a lineup of products that i have to highlight to you which are from Althea Korea by Althea Korea. At the time, i was hoping to snag one of their products home if they allow me, especially the milk peel mask cause it really does wonders to my oily skin type. If you havent heard, Althea has already launched their own skincare collection and i believe you'd be the first hearing from me that they have a makeup range launching soon in 2019. *SCREAMS* How exciting?! Here is something that is fresh from the oven, which is the Althea concealers and its currently on promotion on the site! Managed to try it out myself during the party, and damn these concealers are pretty convincing. Shop now for exclusive offers on the concealers from the official site. And whats a party without sweet treats? 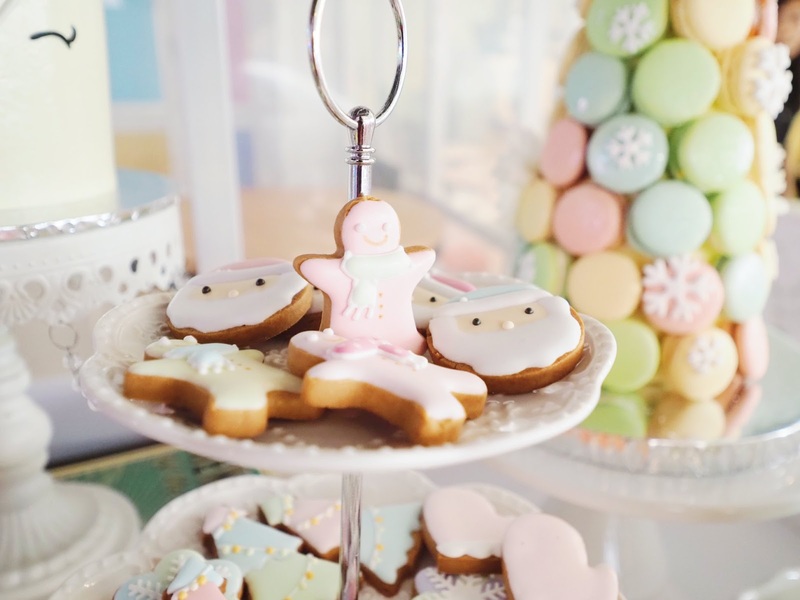 Aww, and how cute are these pastel christmas cookies? Now during the whole party, we had like a list of things to do in order to redeem our goodiebags. WHAT?! Goodiebags?! Honestly i wasnt expecting to get a goodiebag, but since i knew there was goodiebags up for grabs, i quicky took action to complete the checklist. The checklist required us to share 3 IG shares during the event, we had an exciting game machine to play and of course, to redeem our treats from ChubeeCloud. Being a blogger, of course we all took tons of photos to remember, and from the claw game machine, i managed to score myself the Althea Milk Peel! YAY! Just what i needed. Hehe. Now, since we got a taste of Chubee Cloud, i opted for their Magical Milkshake with Chicken Kimchi and Boba Toast which tasted pretty good. Since i have a lot to say about their food and drinks, let me give you a short review on what i think of it. Starting off with the Chicken Kimchi, this was something that i loved the most since i love Kimchi. Its spicy but not too spicy, and its actually pretty filling too if youre opting for something light to munch on. The Boba Toast on the other hand was something i've never tried in my life before, but surprisingly the taste and texture of it was pretty interesting. Imagine biting onto a crispy toast as the boba gives you a chewy finish in your mouth. Mmmm. Just talking about it makes me want more! And as for the Magical Milkshake, well, what can i say? It tasted magical! Skip the super sweet milkshake, cause this tasted really light and creamy with a tint of magic. Would definitely come back here for more of this! The best dressed of the day! 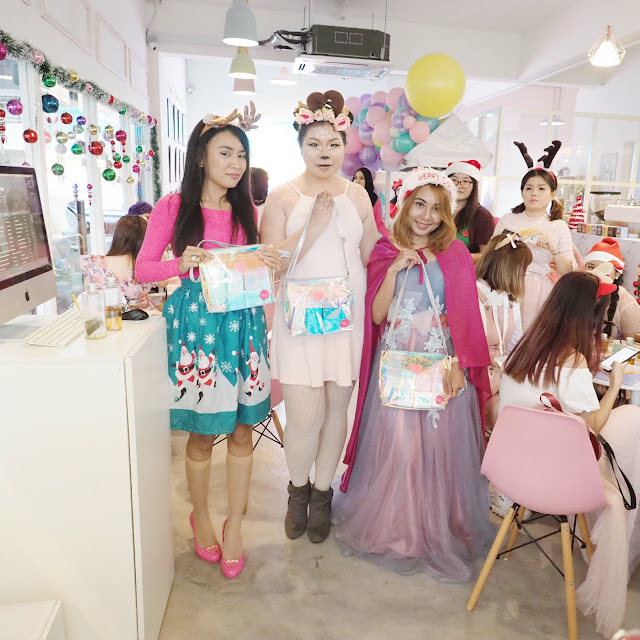 OH not to forget, there was also a best-dressed category where we had familiar faces taking home extra gifts from Althea Korea! YAY! Its so nice to see everyone dressing up for the ocassion and i swear i thought i was already overdressed with anthlers on my head. Hehe. Congratulations to Lia, Ayu Jean and Cindy for being the top 3 best dressed during the event! They all did great, but i think Cindy stole the spotlight with her raindeer look. LOVING all the effort she has put into to create the look. Hehe. Hey guys! I apologize for being MIA lately and honestly speaking, I've been pretty stressed out juggling work, commitments and planning out a wedding. Yes guys, im getting married! But anyways, with that in mind, I decided to switch up my regular skincare routine and tried out the Mary Kay Timewise skincare range for a change. I've seen a lot of good reviews on this particular range, and couldn't resist but to try this out with the date of the wedding getting super near. Thus, in today's blog post, I'll be sharing with you a review on the Mary Kay Timewise Skincare Range after using it for about a month now. So, getting into details, the range features 5 products to complete the range which includes, a cleanser, toner, eye cream, day cream sunscreen, and night cream. I love the idea that the range is pretty much minimal targeting on what is necessary cause I honestly can't go for the K-beauty 12 step skincare regime as it takes too much of my time. LOL. So, now you know what the products are, let's get into the details of each product, and I promise I'll try to keep it short and sweet for you guys to easily understand thoughts on the products. Starting off with the cleanser, it states to be suitable for normal to dry skin that claims to multitask on your skin's needs. Now, this was a concern for me in the beginning as I actually have combination oily skin, but surprisingly, my skin loved it! The cleanser is unlike your common cleanser as it doesn't foam up as much, but as I wash my face daily with this, I realize that it does not only cleanse but also lightly exfoliates to remove impurities from the skin. In terms of results, I'd have to say that I started to see that my skin condition improved (especially my breakout scars), giving me a well-balanced skin condition. In terms of texture, again I highlight that it doesnt foam up as much, but it definitely had a unique creamy sticky texture that lightly glides onto the surface the skin, gently cleansing the skin without drying up my skin. After cleansing, skin actually feels clean and what I liked about it was that it did not tighten my skin like some cleansers would. Despite giving my skin a good cleanse, it still felt well moisturized and had an after cleansing glow. The Timewise Moisturising Renewing Softener is somewhat like a toner to me, but instead of drying out on the skin, I noticed that it softens the skin after cleansing. This is suitable for Dry to Oily Skin, including sensitive skin, and is recommended to be used after cleansing. My impression on this was that it's very gentle on the skin, and it leaves the skin feeling super soft and smooth. Like any toner, the texture for this is watery, but what makes this stands out from the rest would be that after application, it feels as if your skin has already been applied toner and moisturizer. The best feeling in the world! I'll leave this here for you to think about it. Of course, when it comes to aging, you start worrying when you see the area around your eyes showing wrinkles. The Age Minimizer 3D Eye Cream does not only prevent wrinkles but also minimizes your current wrinkles if that is your concern. I haven't been sleeping property the past few weeks and surprisingly, with this baby, I have not experienced any dark circles around my eyes which I believe that the eye cream does what its suppose to do. Upon application, you'd realize that its creamy in texture and as you apply it around your under eye area, it immediately moisturizes your eye area effortlessly preventing fine lines and wrinkles from forming. Next would be the Age Minimizer 3D Day Cream SPF 30 Broad Spectrum Sunscreen. As we all know, sunscreen is one of the most important things in the world if you'd like to prevent wrinkles to invade your face. I never really enjoyed the regular sunscreen unless its water based, but this has to be the only exception as I actually love the feel of it on my skin after application. Its lightweight, and it doesn't leave white patches on your skin. What makes it even better is that other than protecting your skin from UV rays, it also reduces visible signs of aging and moisturizes your skin too! Major love! Since it leaves your skin in a mattified setting, its great to apply makeup after applying this sunscreen on your skin. What more can you ask for? And as my night regime, instead of applying sunscreen, I'll switch it to the Age Minimizer 3D Night Cream. This particular night cream is pretty moisturizing and it may feel a little heavy on the skin, but the good side of it is that you'll wake up every morning with your skin looking like its glowing. I noticed that with this, it really speeds up the age minimizing process making me look 2 years younger. I've been applying this every night for a month now, and trust me when I say that my skin looks and feels so much healthier. Overall thoughts? Definitely will repurchase! As a verdict, I honestly didn't think that this skincare range would be suitable as most anti-aging skincare ranges would usually be too moisturizing for my skin. But with Mary Kay timewise Skincare Range is beyond my expectations, and with the results that it gave to my skin, I'd recommend this to anyone who would want to achieve smoother, younger and healthier skin. I'd also like to emphasize that are well tested by dermatologist (and an ophthalmologist, for eye cream), to ensure that its safe to be used on the skin. I have no regrets on switching to this with my big day getting nearer so I can assure you that this skincare is safe and would give you amazing results within 1 month of usage.